At the beginning of 2017, I decided on two words that would guide me towards the goals that I wanted to accomplish in the new year. My words for the year were “adulting” and “independence.” I’m not going to lie and say that I became totally self-sustained in 2017, but boy, does living across the world from everyone you know teach you to adult. I always thought that I wanted to be a traveller, without even having travelled out of the US. Well, 2017 was a test to see if I’m cut out for the vagabond lifestyle. In 2017, I travelled to two different continents (not including North America), and eight different countries (not including the US). For someone who had never travelled out of their homeland before, this was a huge deal! 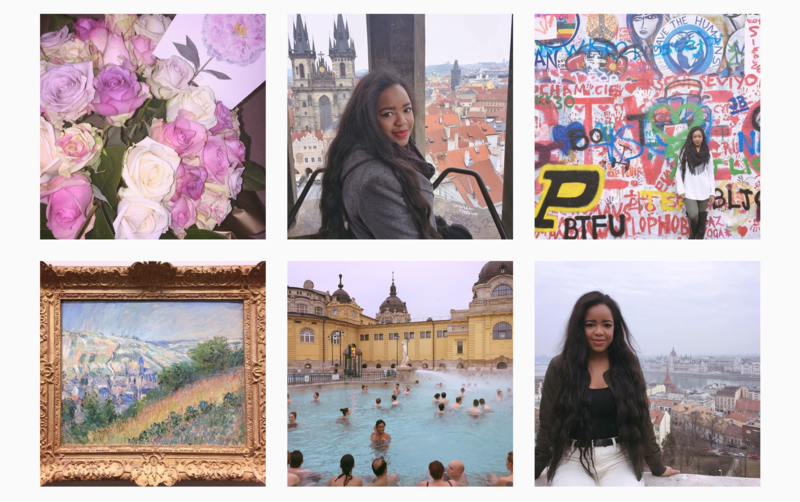 I did it all on a budget, and while others were staying in luxurious Airbnbs on every trip and wining and dining at expensive restaurants every night, I travelled within my means. Fortunately, I was able to stay in some pretty fancy Airbnbs, though, at times, I found myself in questionable neighborhoods. I was able to enjoy some amazing dinners at some upscale restaurants, though that also meant that sometimes breakfast and lunch consisted of frozen pizza. I went to Las Vegas for the first time in 2017, and twice, both times being of age and able to partake in the fun that Vegas offers. I lived in an apartment with three of my close friends and got to know them (and myself) over three AM junk-food binges. I cried when I received my first B (for the record it was a B+… a 92) in a college course and rejoiced when I got an A in the hardest class of my college career. At times I resorted to calling my mom in shambles when the world felt like it was against me, but sometimes… sometimes, I felt like an adult when I braved bold conversations with professors and organic grocery buying on my own. I learned that being small and young doesn’t mean I shouldn’t demand respect from others and that there’s always a solution to every problem, even if the solution isn’t the one I’d hoped for. So, here’s to you twenty-seventeen. You were great… the best so far! But twenty-eighteen promises healthy competition to that notion.